The Greatest American Thinker: Revilo Oliver: The Stupid Whites of South Africa will disappear forever!! [Alex Linder and others have told me that Revilo Oliver is one of the greatest Aryan thinkers in America. I’ve not studied him yet. But I have material about him. He was extremely Jew wise and he was a deep thinking and he knew our enemies well. One of my best supporters for many years who is a South African now living overseas compiled this short set of quotes from Oliver regarding the whites of South Africa and how stupid he thought they were by not realising that they’re going to be wiped out. We would be wise to read what Oliver says and to look at ourselves. There is one thing I can say about the whites of South Africa with regard to Oliver saying that they are dreadful for raising their children to be slaughtered by the blacks. Most whites in southern Africa who could, who had the financial means often helped their children to get out of South Africa and they instead chose poverty for themselves as long as they could get their children out. This is true and I saw Rhodesians doing this too. But there are large numbers who are poor and who cannot do that for their children. It is the poorer whites who actually had more children and who can’t save their children. It is the poorer whites who face the terrible future. Oliver was fully racially and Jew conscious and way ahead of his time. Now in the quotes below he cites a hopeful quote that 75 million blacks might die. He saw this as hope – in the same way that I say Mother Nature is good and she’s trying to kill our enemies for us all the time. That would be the same as what Oliver is saying. 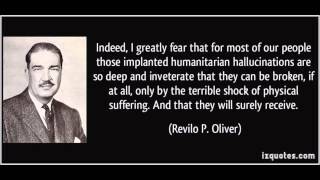 SADLY, Oliver is wrong in that the blacks are NOT dying because the Jews/Elite/Rich/Liberals have come to save the blacks from mass starvation and disease again and again. In Zimbabwe in 2000 Mugabe said he was prepared to have half the blacks starve (of a population of 13 million) in order to get rid of the white farmers. In the end very few blacks died because the USA and Europe came and saved the blacks. The blacks have been saved time and again by the USA & Europe. If the blacks had been left alone to pay for their sins against nature, then nature would have killed hundreds of millions of blacks in the last few decades. But instead whites everywhere, even in South Africa itself are saving these worthless blacks who later hate us and want to kill us. I like Oliver’s points and we need to discuss Oliver in the future. He was a brilliant man who, like Hitler and others only wanted to see ALL WHITE PEOPLE SAVED! So we must see these are strong words from a man who actually cared VERY DEEPLY for us. We whites of South Africa must take the shattered pieces of everything and try to find a way to save ourselves. We must pray less and do more hard work to save ourselves. Yesterday on the social media I had 2 whites from SA challenging me. A white woman went on quite a tirade saying that my “hate” would only cause problems for us. The other was a man who said that our problems are the result of abandoning God. I said to him this is not so at all. God has nothing to do with our problems. As to the white woman I told her to stop thinking like a Liberal and to be careful of the wrong conclusions she is drawing. For example, she was saying that we would lose our friends. I gave her answers about “friends” and what these Liberals claim – the LIES of the Liberals about our supposed “friends”. I told her to learn history and begin thinking for herself. “If some White South Africans wish to ignore the lessons of history and of daily life in Africa and subject themselves to Black rule, that is their business. They apparently do so wish, and have made it abundantly clear at the polls that they do. They are adults. On their own heads be it. Yet we have a responsibility to our children, who trust us. To subject them to the mental, moral, and physical degradation… in store for them is an act of such appalling cruelty as to be almost unbelievable. Any compassion one may be tempted to feel for our racial kin in South Africa vanishes when we notice that they are so cruel or imbecile that they are bringing children into the world. They do not have enough elementary decency and human pity to prevent the birth alive of the last and lost generation of White men in South Africa. A people that condemn their own children to suffering no decent Aryan would inflict on a fox or a bear or a tiger are obviously so degenerate that the world will be well rid of them. There are now accepted estimates that some 75,000,000 Congoids will die in Central Africa within the next three to five years. If the figure of 75,000,000 is not too optimistic — and there have been estimates of an even greater mortality — there is some basis for hoping that the virus may save the Aryans of South Africa, who are too stupid to save themselves. This article is about, The Original Mr. Jacobs: a Startling Exposé. ← USA: Its WAR!! MASSIVE fightback to save net neutrality from Jews & Liberals! I don’t think its a good idea to prophecy against whites. It can be demoralizing. Constructive criticism is good but please don’t prophecy destruction with no escape. During the Roman Empire it was illegal to prophecy against Rome, prophecy was seen as psychological warfare by the Romans. This is why the book of revelation is written in codewords. This was a harsh message compiled by one of my most loyal supporters. I thought it’s good to give olivers views. I don’t believe extinction is easy at all. I think many things can still work for us. In the bible the jews generally prophecy in favor of the jews and against their enemies. And all of these years of talking in favor of themselves and against their enemies they now have Jerusalem recognized as their capital and they speak a modern version of their ancient language. The Romans saw prophecy not as a prediction but as psychological warfare used to demoralize enemies and something used to give hope to ones allies and ones people. The Bible is a book of psychological warfare. Read all the prayers in it and the messages of hope for oneself and the way the speak against those they feel threatened by. And it is not a perfect book of psychological warfare and it has a lot of stupid things in it however it is superior to the way in which some people in the pro-white community prophecy doom for themselves and the way in which they are overly harsh with each other. Words are actions. Perhaps this concept is not indigenous to white people however it is something whites would do good to learn and make part of themselves, especially in the information age. The Bible is a Jew book, written by Jews for Jews. The Lord orders his Chosen to kill all Goyim; EX 9:22-25 A plague of hail from the Lord strikes down everything in the fields of Egypt both man and beast except in Goshen where the Israelites reside. EX 17:13 With the Lord’s approval, Joshua mows down Amalek and his people. EX 21:20-21 With the Lord’s approval, a slave may be beaten to death with no punishment for the perpetrator as long as the slave doesn’t die too quickly. EX 32:27 “Put every man his sword by his side, and go in and out from gate to gate throughout the camp, and slay every man his brother, and every man his companion, and every man his neighbor. EX 32:27-29 With the Lord’s approval, the Israelites slay 3000 men. “Having banished from our land that religious intolerance under which mankind so long bled and suffered, we have yet gained little if we countenance a political intolerance as despotic, as wicked, and capable of as bitter and bloody persecutions.” –Thomas Jefferson: 1st Inaugural Address, 1801. Thank you for this.feel free to send any more quotes from oliver. This is important stuff. I’ve read and listened to everything I could find of Professor Oliver’s work. It is reported much of his work was recently stolen. As the US Government became legally anti-White in the 1960s, RPO noted that America had passed the point of no return. The White American Race War was lost with finality and certitude back then, its terms of surrender being the anti-White legislation passed – by White American race traitors! We White Aryans – WARYANS – are now engaged in a guerrilla struggle for our survival. Our very existence will have been a waste of time if we lose it !! Try 1913 when the jews took control of the USA. The Jews (Esau) hate the whites (Jacob) and are using their miscegenated brothers to destroy us. Wars and miscegenation is what weakened the white man in addition to his disobedience. The Bible was for the white man who are the true Israelites. The jews have usurped our role and commandeered the scriptures as their own. They are descendants of Canaanites and are mongrel dogs. God’s creation was pure white DNA. All others are a corruption of nature. RABBI TEACHES THAT JEWS ARE AN ALIEN RACE HERE TO TAKE OVER THE EARTH! Incredible Nature: How a Daredevil Raccoon Pulled Off a Terrifying 23-Story Climb!